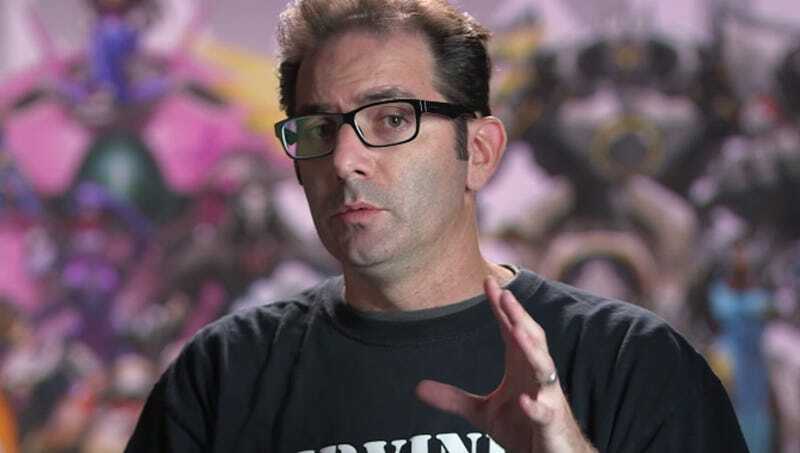 In recent times, a YouTuber named Dinoflask has dedicated their life to mashing-up videos of Overwatch’s Jeff Kaplan, turning them into everything from enraged rants to stories of Kaplan drunkenly pretending to be Junkrat’s ult at a party. It’s masterful work. Even Kaplan himself thinks so... begrudgingly. As part of a recent Reddit AMA, somebody asked Kaplan about the notorious videos, which have established a sort of alternate universe Jeff Kaplan who’s significantly more, uh, blunt (and also maybe evil???) than the mild-mannered design dad we’ve come to know and admire the patience of. “I always say that Dinoflask says what I wish I could really say (like that old Key and Peele skit with Obama’s translator),” he added. Theory: Jeff Kaplan is Dinoflask, and these mash-ups are the only way he can share his real feelings. For real, though, it’s fun to see a designer as high-profile (and impossibly busy) as Kaplan engage with the community that’s formed not just around his game, but around his endearingly awkward personality. People dig him not because he’s dramatic or controversial, but because he’s straightforward and cares about keeping players in the loop. It’s neat to see that resonate so deeply in this, the year of humankind’s worst vices 2017. The AMA touched on some other interesting subjects (potential changes to Lucio and Winston, loot box gifting, the possibility of bringing back certain seasonal events), though there wasn’t a ton of detail to back them up. Still, it’s worth a read if you’re so into Overwatch that you clicked on an article about mash-up memes of the game’s director.